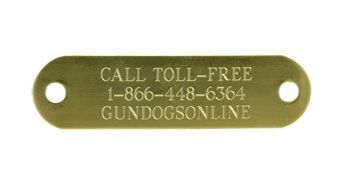 These Engraved Nameplates are the perfect addition to a new or old collar. Each nameplate uses up 3 lines of text and 15 characters per line to create a personalize message. Each plate comes with rivets and installation instructions. Please allow for 3 - 4 business days to create your plate. 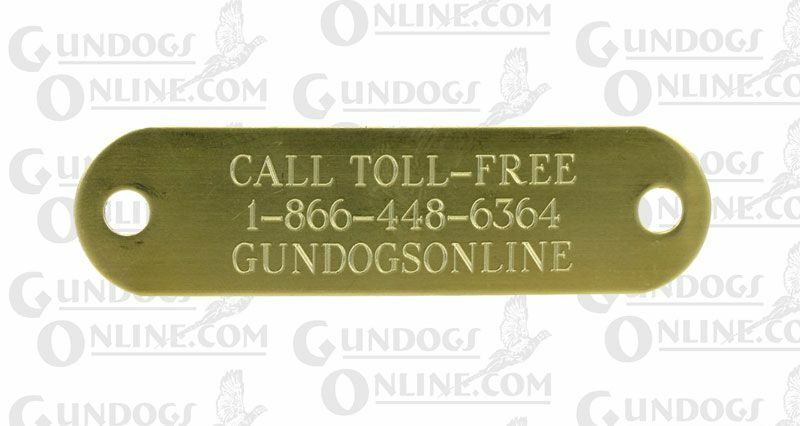 Please Note: Narrow Engraved Name Plate Measurements are 5/8" x 2-3/4". Please note, this product is a non-returnable item.